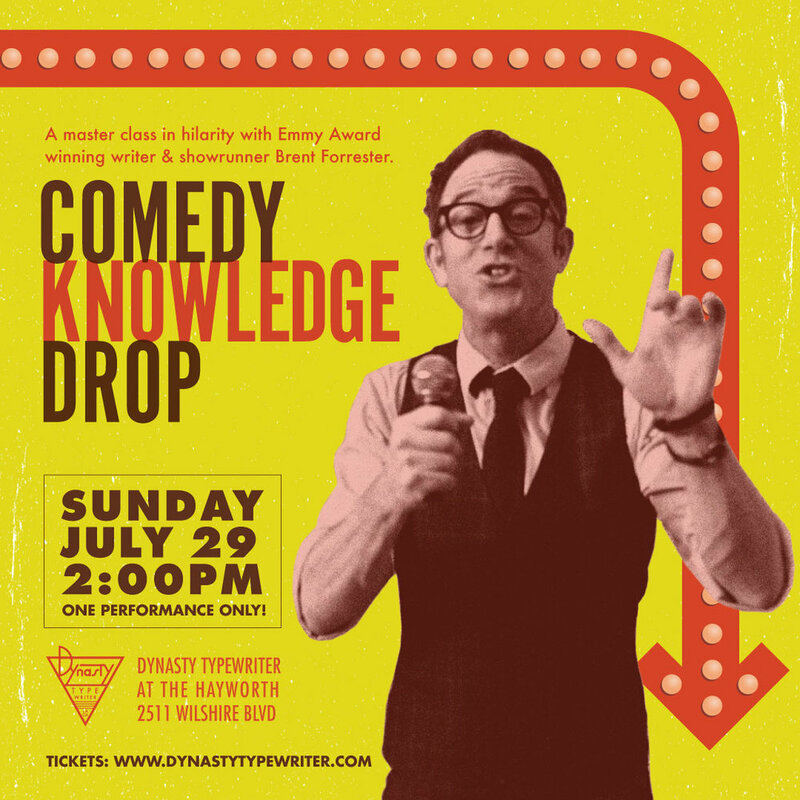 Join us for a masterclass in hilarity as famed comedy writer + show runner Brent Forrester drops knowledge gleaned from years of working on some of the most iconic television programs over the last few decades. In a series of manic story-telling blasts, Brent will share everything he’s learned from his time on “The Simpsons,” “King of The Hill,” “Late Night With Conan,” “Mr. Show”, “The Office,” and more. It’s a lifetime of useable comedy writing insights conveyed in an hour of funny Hollywood stories!